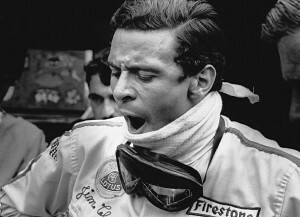 Jim Clark was a versatile driver who competed in several different forms of motor racing. He won 25 of the 73 races he started and became world champion on two occasions – in 1963 and 1965. He began racing in 1960 with team Lotus and continued up until his untimely death in 1968 when he was killed in a Formula Two accident in Germany. One of his greatest performances came at the 1963 Belgian Grand Prix where he optimised tyre performance and won in extremely wet and foggy conditions, and he is well worthy of his place in Formula One’s top five. 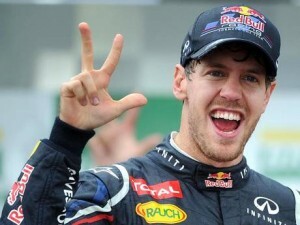 At just 25 years of age, there is no doubting that Sebastian Vettel has to make the top five for his achievements in Formula One. Since 2009 he has been a part of Austria’s Red Bull Racing team, and in just his first season he became the youngest ever runner-up in the World Drivers’ Championship. The following year he went one better and became the youngest ever World Champion. He retained this title in 2011 and again in 2012, becoming the youngest double, consecutive and triple World Champion in the history of the sport. There’s a good chance we may have to revise this list in a few years if the young German keeps it up. 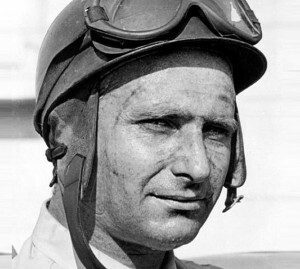 The famous Argentinian, Juan Manuel Fangio, was one of the pioneers of Formula One who dominated the first decade of the sport. He began racing in 1934 in Argentina and entered Formula One from 1950; he went on to win 24 of the 51 races he started, with his first World Championship coming in 1951. He drove for Alfa Romeo, Maserati, Mercedes and Ferrari, winning further World Championships in 1954, 1955, 1956 and 1957. His record of five World Drivers’ Championships stood for 46 years, and a statue to commemorate him stands in Buenos Aires. 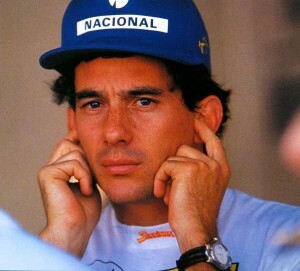 A top five in Formula One wouldn’t be a top five without the great Ayrton Senna. The Brazilian began racing in 1984 and won 41 of the 161 races he started. He became known as a prolific front runner and also received critical acclaim for his performances in wet weather, most notably at the 1984 Monaco Grand Prix, the 1985 Portuguese Grand Prix and the 1993 European Grand Prix. World Drivers’ Championship victories came in 1988, 1990 and 1991. There may well have been more to follow, had it not been for the tragic accident at the 1994 San Marino Grand Prix which saw him killed. Senna is a true legend and a Formula One icon. It was a difficult task at first to decide which drivers would make our top 5, when there are so many great ones to choose from, and it was harder still to rank them. However, after much deliberation down at the SORN headquarters, we decided that there was only one man we could put at number 1. He began his career with Jordan but it was at Benetton where he made his name, winning back to back World Championships in 1994 and 1995. 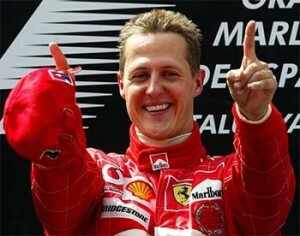 The following year he moved to Ferrari and went on to win five consecutive World Championships between 2000 and 2004. He holds numerous Formula One records including most race wins at 91, and most World Championships at 7. These achievements alone mean that, in our opinion, there can be no one else at the top of the tree. Watch some of Michael ‘s exploits in this video. This entry was posted on January 21, 2013. It was filed under Racing.